RALEIGH, N.C. (Reuters) - North Carolina poll workers told election officials on Tuesday they illegally viewed early election results last year, the latest evidence in a probe of voting irregularities in a still-unsettled congressional race. 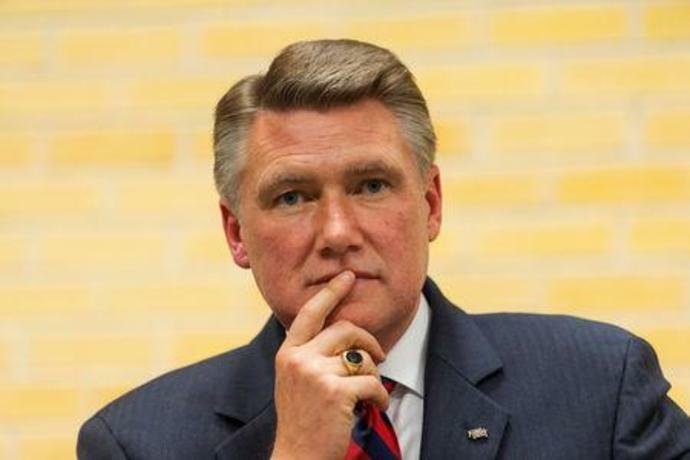 The investigation into the disputed Nov. 6 election for the state's 9th Congressional District seat also uncovered an unlawful and well-funded absentee ballot scheme by an operative for Republican candidate Mark Harris, a State Board of Elections official said on Monday, the first day of the hearing in Raleigh, the state capital. The seat has remained vacant since state officials refused to certify Harris' apparent victory over Democratic rival Dan McCready by 905 votes out of 282,717 ballots cast. A finding of fraud could trigger a new election. On Tuesday, in the latest admission of improprieties, poll worker Agnes Willis told the board she and other poll workers viewed results of the Bladen County sheriff's race before the general election. North Carolina law prohibits running voting results before the general election. Bladen County is one of two counties at the center of the probe involving the congressional race as well. State investigators were unable to determine if those results were shared with anyone outside the early voting site, said Kim Strach, executive director of the five-member elections board, which must decide if the evidence warrants calling a new election. Among the dramatic revelations in Monday's testimony, Strach said Republican operative Leslie McCrae Dowless hired workers to collect absentee ballot requests from voters and then return to retrieve the ballots, in violation of state law. In some instances, the paid workers falsely signed as witnesses and filled in votes for races left blank at Dowless' home or office, Strach said. Dowless declined to testify on Monday after the board said it would deny him immunity. His lawyer said afterward he had done nothing wrong. Dallas Woodhouse, director of the state Republican party, told reporters on Tuesday the testimony did not indicate enough ballots had been affected to warrant a new election. He said the board had only ordered a new election over fairness concerns in the past "when the irregularities rose to the level of calling the race in question." North Carolina Democrats want a new election, while Republicans have pushed for the board to certify Harris as the district's congress member. The U.S. House of Representatives would then determine whether to seat him. If the Democrats pick up the seat, they would widen their 235-197 majority in the House after taking control of the chamber from President Donald Trump's Republicans in November.